Everything Just Sew: Here you go Keely! Keely has been texting me to ask where the picture of these gloves is, so here you go. (I've been working on them at craft nights and texted her to say they were done, hence the impatience.) Just for you Keely! 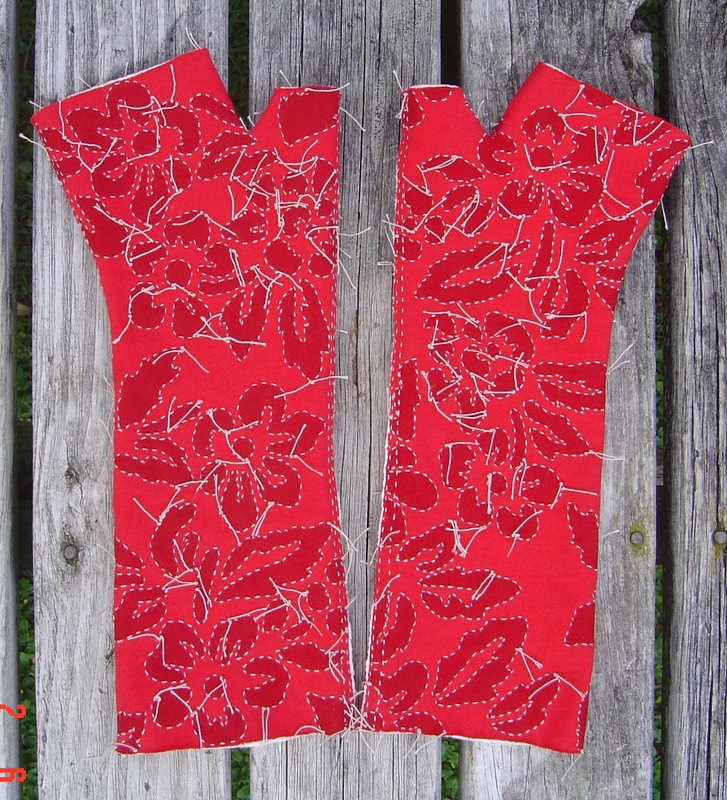 These are the fingerless gloves from Alabama Studio Sewing + Design, with Abbies Flower stencil, which I fattened up a bit and applied using freezer paper. Red outer layer, burgundy paint, cream underlayer, cream stitching. Stitched but uncut. 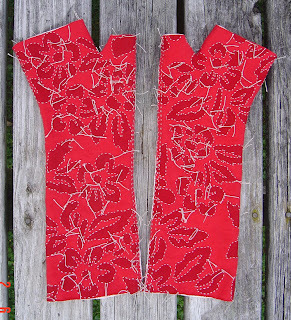 These are pretty fancy for everyday wear, so I will be making more from a shortened and slightly re-shaped pattern. My friend J has already made several pairs in the time it took me to make these (and she has a JOB chewing up time!) and reckons she needs a pair to match every outfit. I think she's onto something.